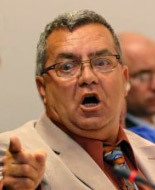 County Commissioner slams "Grossman's Goofballs". “Tony Phillips said there are some riffs in the party but he hopes and believes the Republicans will come together. He also feels that the salary cut in the row offices is not a Tony Phillips decision but a commissioners decision. If they kept the controllers office the same that’s up to them. They voted to keep the office salary the same NOT a Tony Phillips salary. Rick, you have been critical of Phillips, and Phillips said that in 2012 the controllers office came up with a county plan to save money and at a meeting you praised Phillips for putting a plan together that is working, But now you are not backing Tony? Why? And also: Rick, do you believe the Republicans are coming together and will you be publicly supporting Justin Dunkelberger and Tony Phillips? Do you consider tony Phillips and Justin Dunkelberger two of (for wont of a better term) Vinny’s boys? I know we discussed having a phone conversation regarding this later this morning. I’ve decided instead to just send you an email today (before noon), responding to the specific questions posed by Grossman’s Goofballs. I just feel more comfortable responding in writing when dealing with editors that are so lacking in journalistic integrity that if they try to twist my words or take them out of context I have a written record of what was actually conveyed to them. It’s sad that its come to this, but I, like many people in the Valley have no respect for or trust in the Daily Item anymore as an organization. This is not a reflection on you, but on the cowardly leadership of the organization. Phillips and Dunkelberger responsible for Riffs. As to the Republicans coming together despite riffs in the party: I think both Mr. Phillips and Mr. Dunkelberger need to accept responsibility for having created these riffs through their own actions, and think about what they need to do to fix them. In Mr. Phillips’ case, he has in recent months publicly supported Vinny Clausi calling former Republican Controller Chuck Erdman a liar. Mr. Erdman was an excellent Controller for our County, was honest and had the backbone to stand up against Commissioners who were attempting to mislead the public. I know action caused a lot of Republicans to disavow Mr. Phillips, and opened their eyes to his pandering to Mr. Clausi on other matters, seemingly in exchange for his receiving constant public praise from Mr. Clausi. 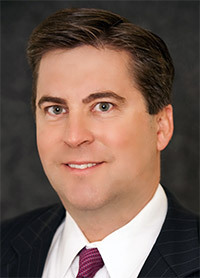 In the case of Mr. Dunkelberger, he chose during his primary campaign to distribute campaign advertisements and propaganda that was essentially a regurgitation of various lies previously disseminated by Mr. Clausi regarding alleged financial irresponsibility in the Prothonotary’s office under current Republican Prothonotary Kathleen Strausser and former Republican Prothonotary Suzanne Vastine-Smith. This has not sat well with many Republicans in the County, particularly when you couple it with the fact that Mr. Dunkleberger’s company, Penn Wind, LLC, was anything but an example of responsible financial management, having racked up almost $300,000 in State and Federal Department of Revenue liens against it over the last several years, in addition to numerous other judgments, which has left his unfortunate investors holding the bag for him. Republicans do not like phonies, and they need Mr. Dunkelberger to explain to them why they should entrust taxpayer funds to him given his abysmal track record. As for the salary cut in the row offices: While the vote, by law, has to be with respect to the salary associated with the office, not the particular office holder, I believe many Republicans have read the articles that have appeared in the Daily Item (if only because there is currently no other newspaper option available to them for local news) and have seen that when Mr. Clausi has stated that he intends to keep the Controller salary the same, his reasons are almost universally personal to Mr. Phillips. I believe many Republicans view this as a payback to Mr. Phillips for spending so much of his taxpayer-paid time making glowing statements about Mr. Clausi on at the Public Meetings cue and having as many phot-ops with Mr. Clausi as possible. I believe many are also suspicious that Mr. Phillips is not independent enough from Mr. Clausi to act as an effective watch-dog for the County with respect to Mr. Clausi’s activities. As for my support of Controller’s office and their 2012 financial plan: If you review the minutes of the meeting, you will see that I praised Mr. Phillips’ office, not him personally, for coming up with the financial plan the Mr. Clausi then co-opted and passed off to the public as his own. The specific person who developed that plan was Denise Fanella in the Controller’s office, and Mr. Phillips has acknowledged that to me privately on numerous occasions in the past. It was disappointing to see that Mr. Phillips lacked the courage to publicly acknowledge that Ms. Fanella developed the plan, instead allowing Mr. Clausi to deceive the public that he had developed the plan. Prior to the meeting at which the plan was to be adopted, I joked with Ms. Fanella that I was going to make a motion to have the plan named “The Fanella Plan”, knowing that it would send Vinny into another meltdown if he wasn’t allowed to claim the credit. Mr. Phillips commented at that time that he thought I’d “get him fired” if I did that. Therein lies the problem with Mr. Phillips. He’s an elected official who is supposed to be independent from, and not beholden to, any of the Commissioners, and yet in his mind he fears that Vinny Clausi can take away his livelihood if he upsets him too much. It is this mindset that calls into question his ability to be a strong, independent watch dog for the county. As to Republicans coming together and whether Phillips and Dunkleberger are Vinny’s “Boys”: At the recent Republican Committee picnic, the crowd apparently didn’t appear supportive of Phillips and Dunkleberger, resulting in Dunkeberger lashing out shamefully and pointing fingers at the Committee leadership during his presentation. I think Mr. Dunkelberger and Mr. Phillips misunderstand the role of the Committee and its leaders. The Committee can attempt to mobile members to get a candidates message out, but they cannot inspire people to support a candidate. That kind of inspiration can only come from the candidates themselves, through their actions, their message and their embodiment of Republican ideals. If these two candidates do not feel they have the support of the Republican Committee, then I think they should show leadership and call an open town-hall type meeting and invite Republicans to attend and pose their concerns to them. Depending on how well these candidates present themselves and defend their records, I believe you will either see the Republican Party come together to support them, or you will see the Party come together to begin the process of policing and purging their own ranks in order to strengthen the Party for the future. I think this type of open forum will also help the Party determine if they are indeed “Vinny’s Boys” or not. Anyone who actually read the Daily Item report as published on September 15th will see at once that hardly any of my comments made it through the editing process. The Daily Item put a spin on the story, just as I expected they would, to insure once again that neither Vinny Clausi nor his minions would be required to accept any responsibility for their actions. I have published my responses to their questions in order to enlighten the voters of Northumberland County as to the actual issues that many Republicans have with Mr. Dunkelberger and Mr. Phillips.